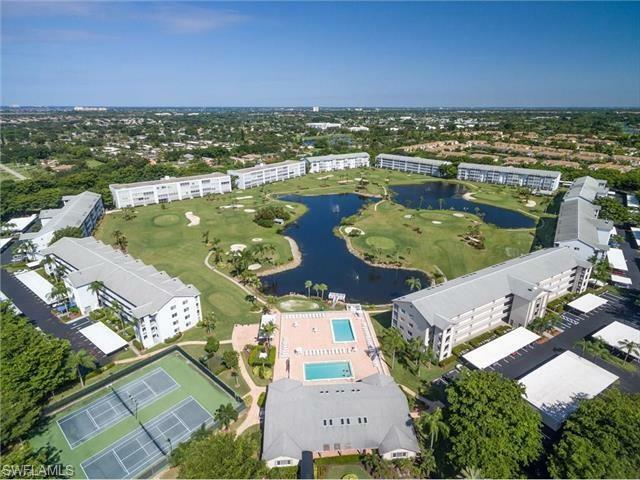 Convenient an updated 1st floor 2BR 2BA condo in the Muirfield building @ Golfview Golf & Racquet Club. Updates include: Cornerstone re-faced Kitchen w/quartz counter top, Kitchen Aid appliances, indirect lighting in Cove Moulded ceiling. Crown Moulding. Master Bath Vanity w/quartz counter top & custom tile accents & SELF-CLEANING TOILET! This hidden gem offers a challenging but fun 9 Hole Par 3 Golf Course with no extra fees. In fact, the low HOAs of $400/mo include all utilities except FPL. Conveniently located at the Summerlin/Gladiolus Convergence and 'on the main drag' to the beaches of Sanibel/Captiva and Fort Myers. This location can't be beat! BBMann PAH is nearby as are medical facilities, library, shopping, dining and Lakes Park is a short (approx 1 mil) jaunt or bike ride. Golfview is NOT a 55+ community. Listing courtesy of Tracy Jackson of Swfl Real Estate Experts.